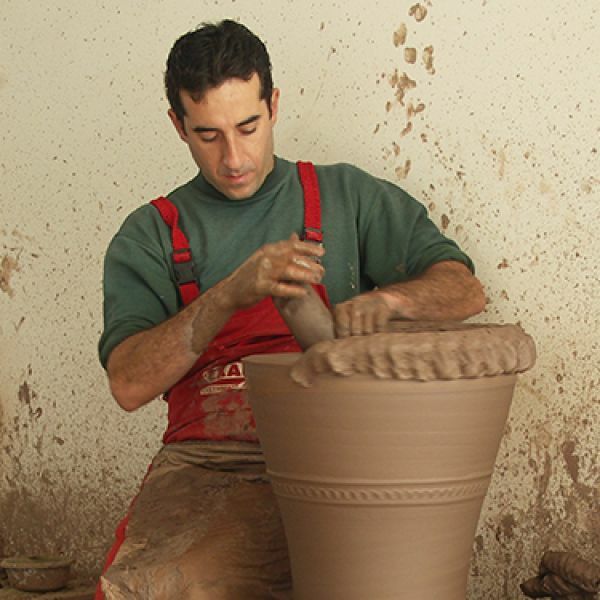 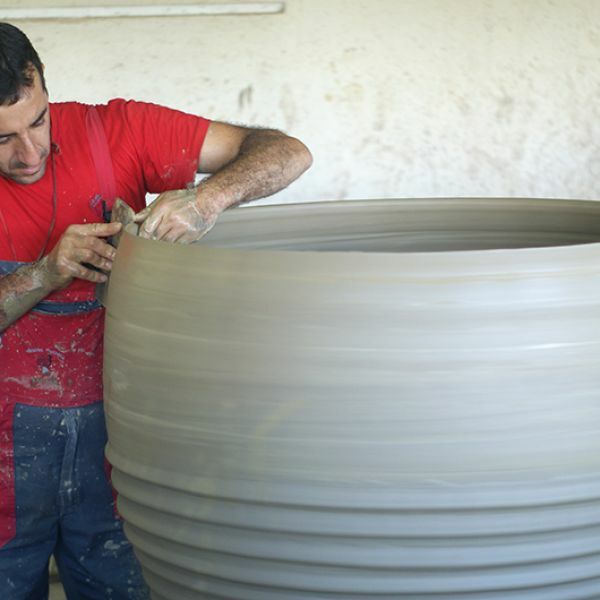 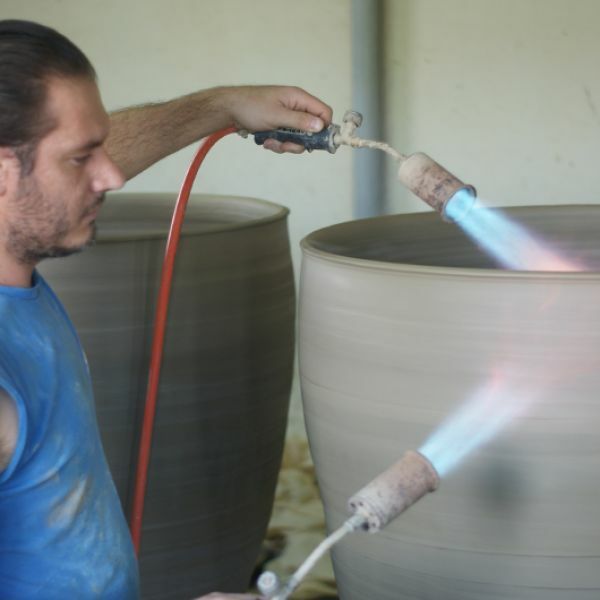 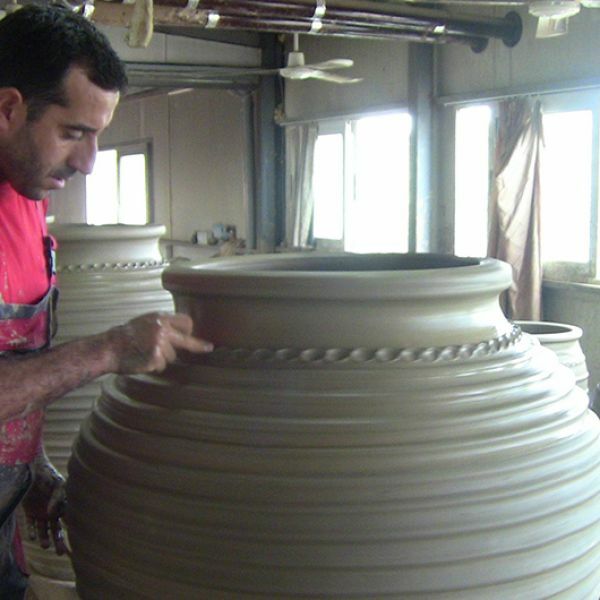 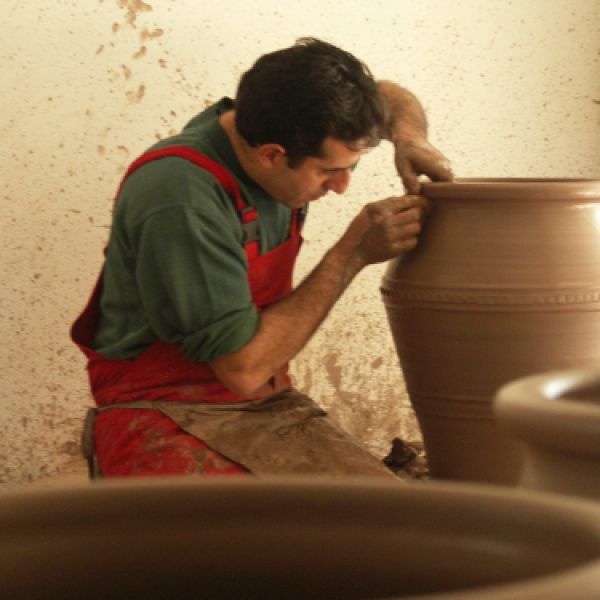 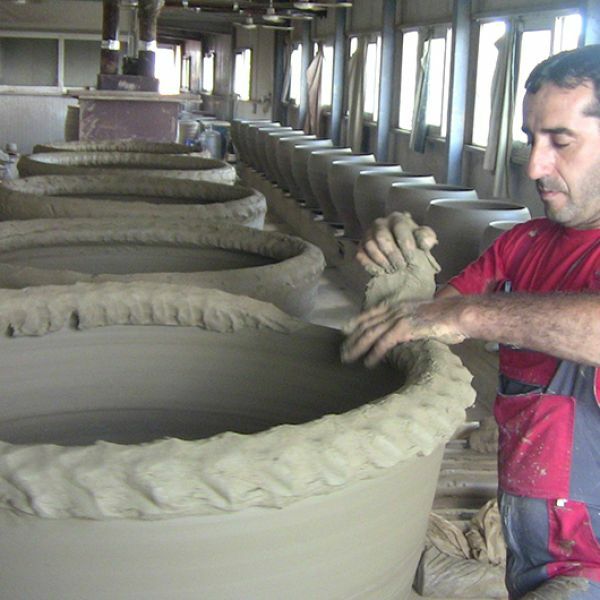 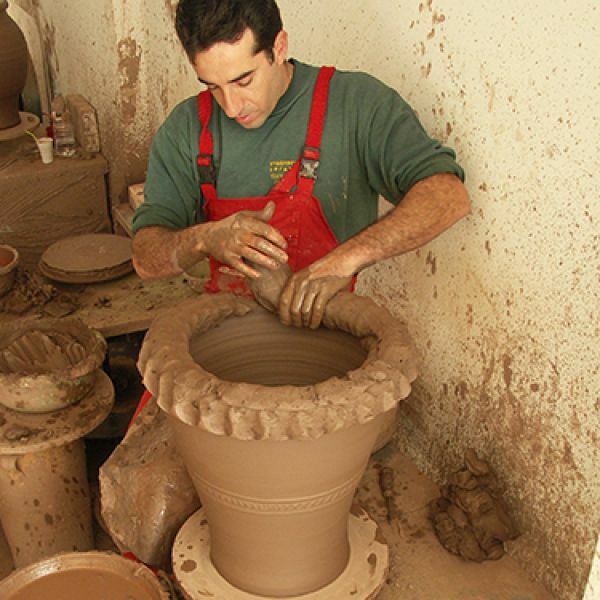 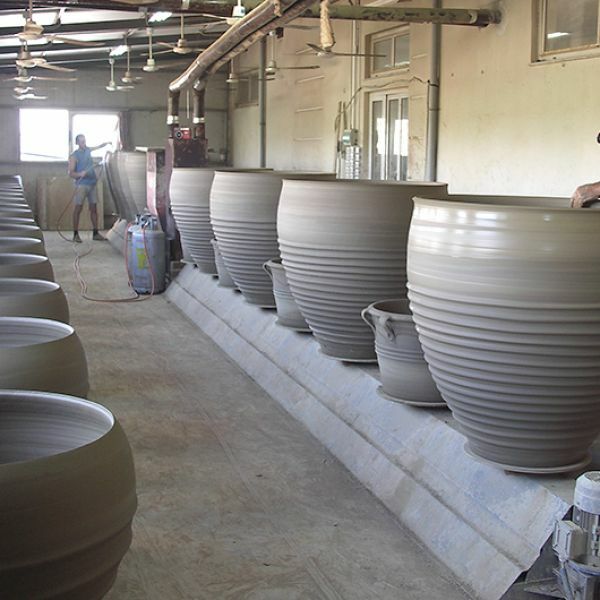 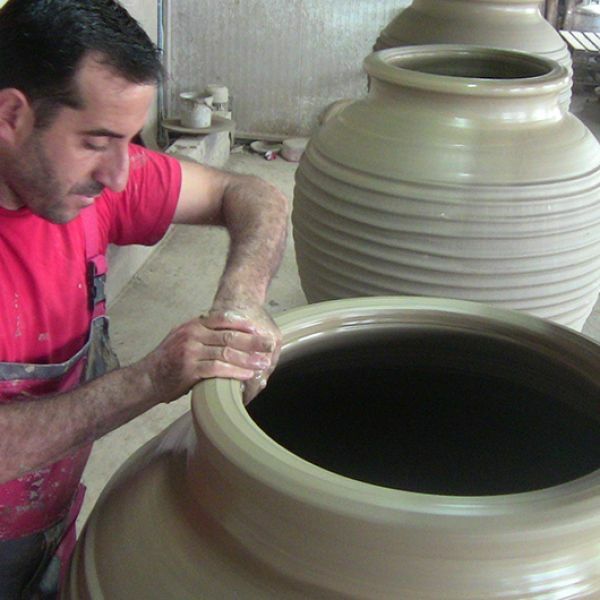 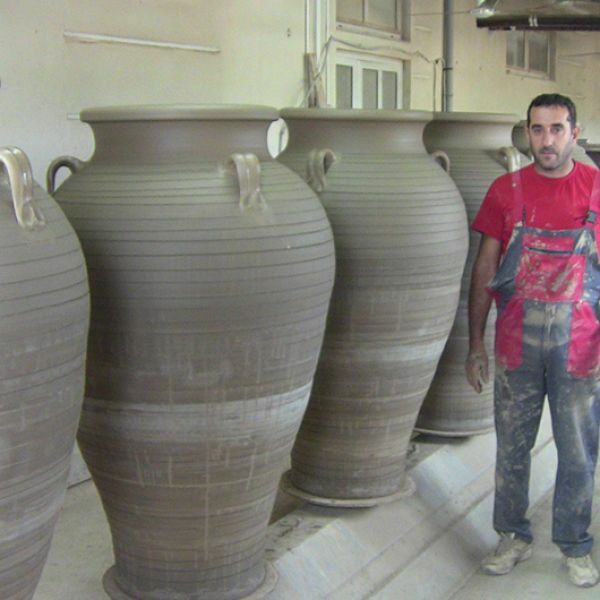 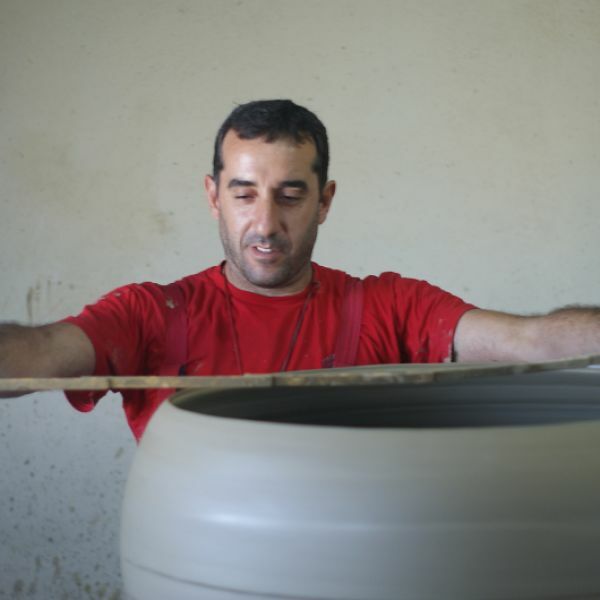 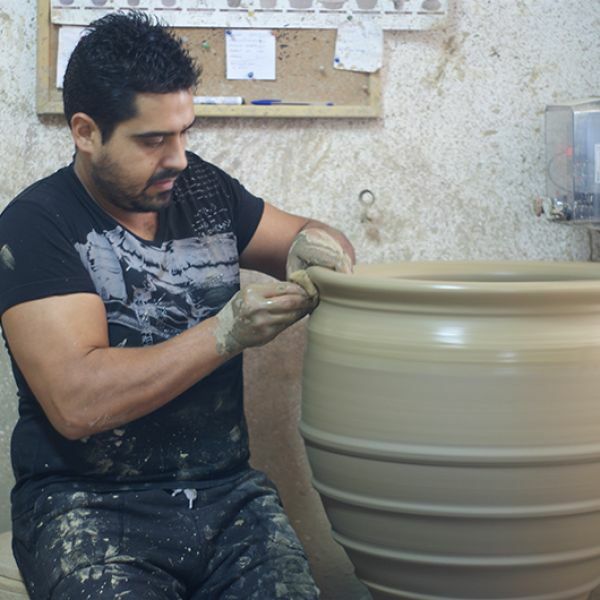 The potteries manufactured ​​in our workshop are handmade and produced ​​in the traditional way by craftsmen of Thrapsano. 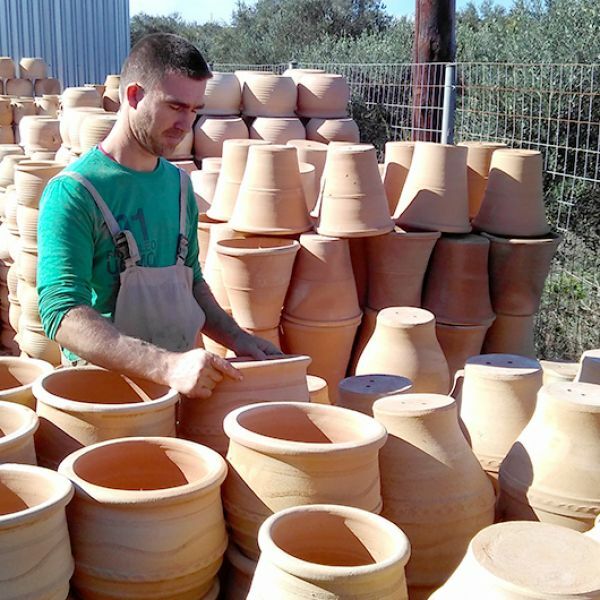 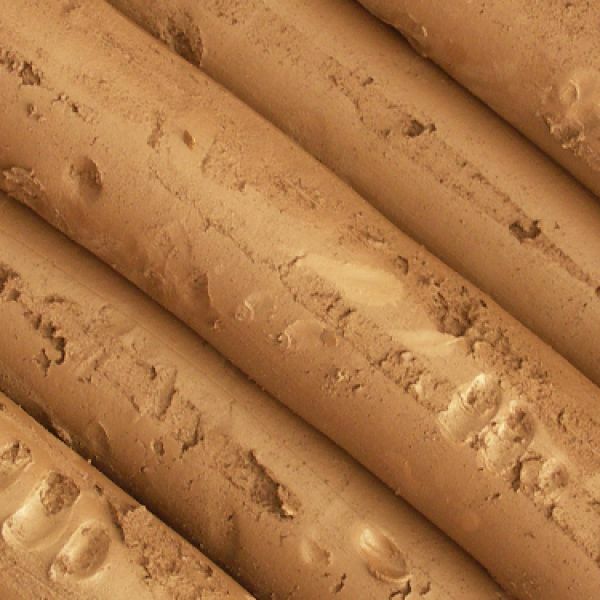 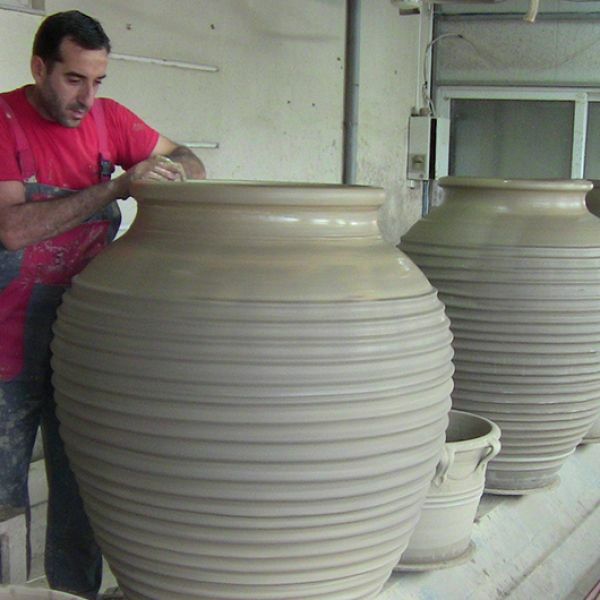 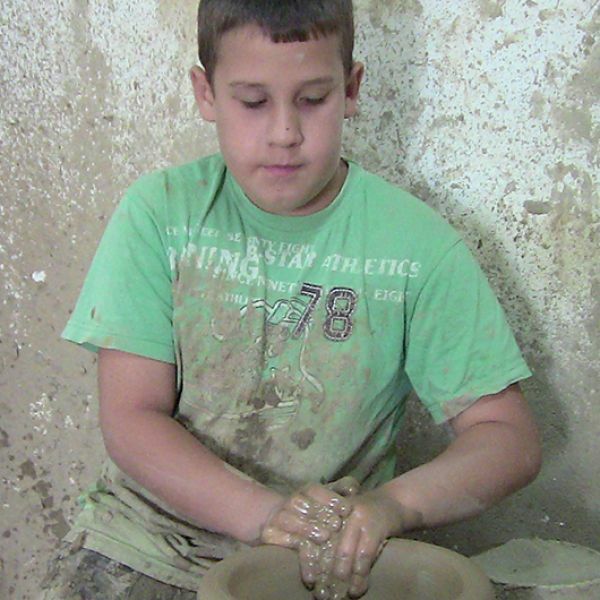 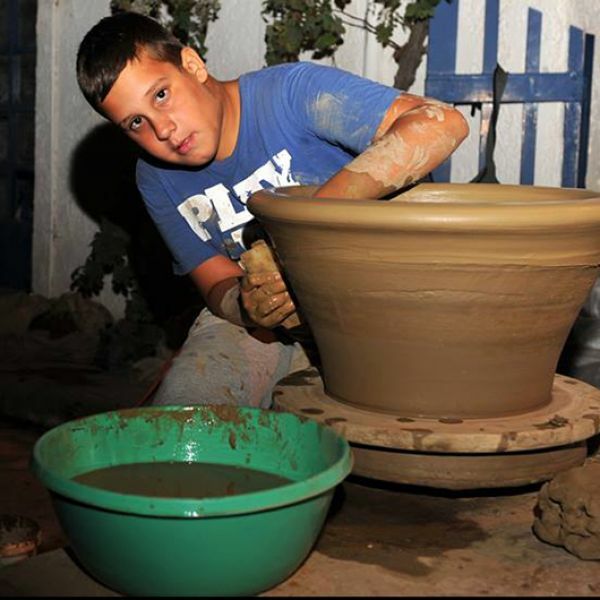 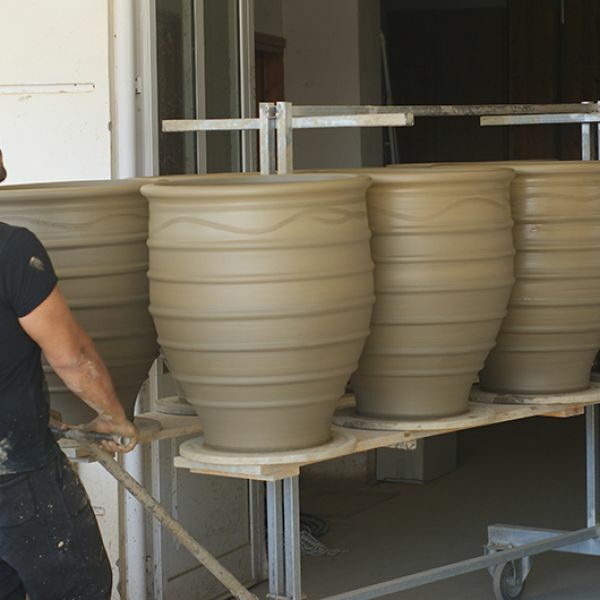 We take soil from the Cretan land and after the mix with water alone we make clay. 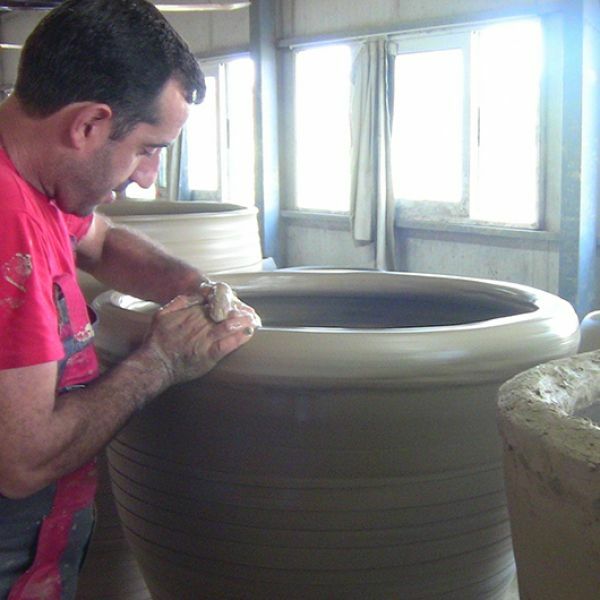 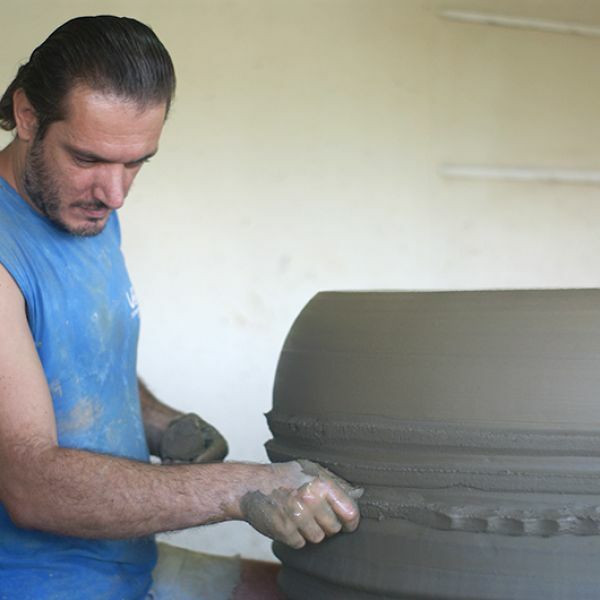 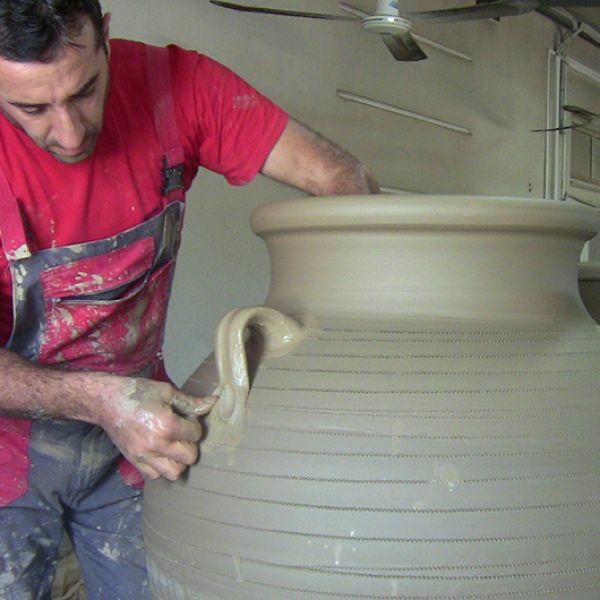 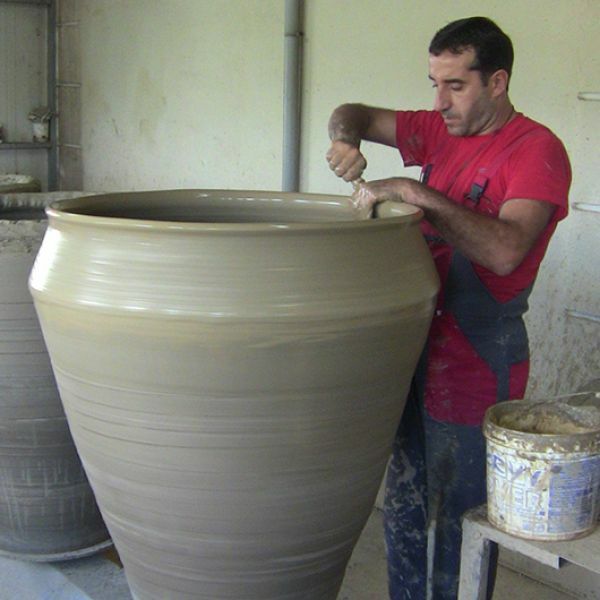 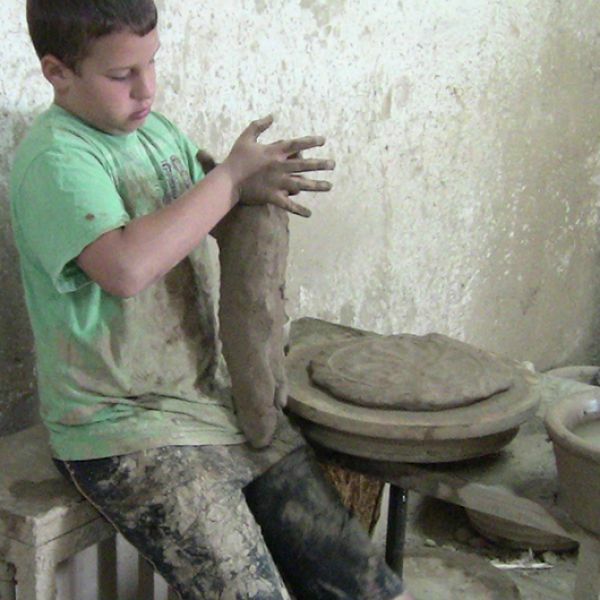 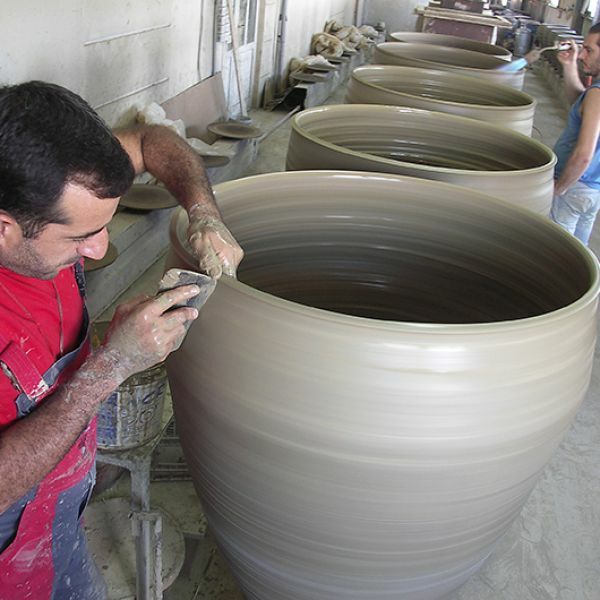 The construction is done using a potter's wheel for small and medium ceramic and a special smaller potter's wheel for large ceramics (earthenware jars tzara etc). 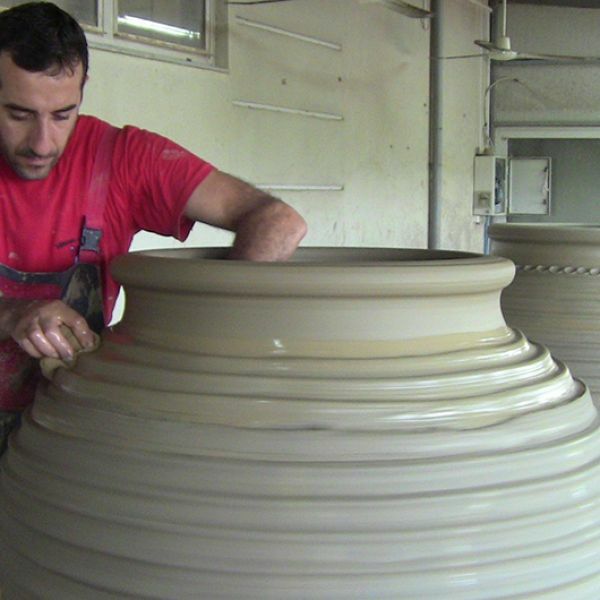 The style of construction is the gradual build with "stomoses", ie sequentially belts, just like they made our ancestors. 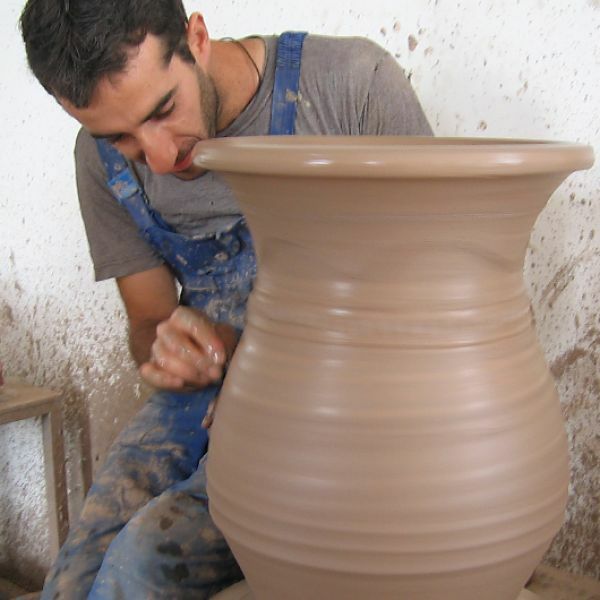 This particular way were used by the Minoans artisans to create the large ceramic vessels that we can see today in Knossos and museums. 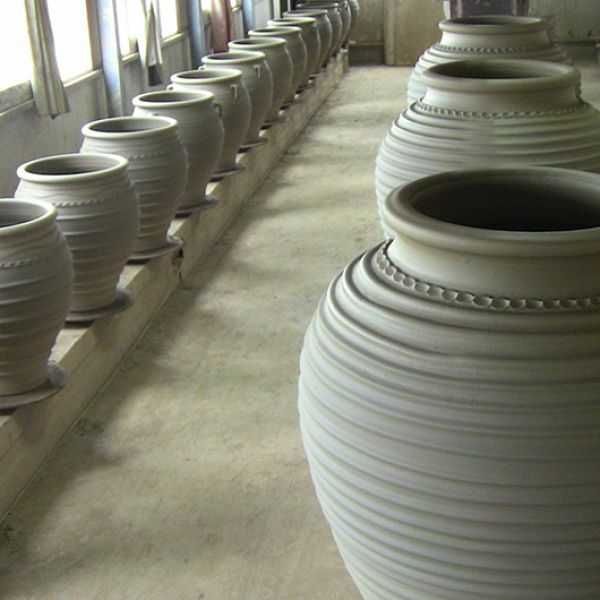 The ceramics dried and then baked in wood kiln.